GameSpot has been on the spot with brining some decent coverage from Comic-Con, and they’re not done yet! 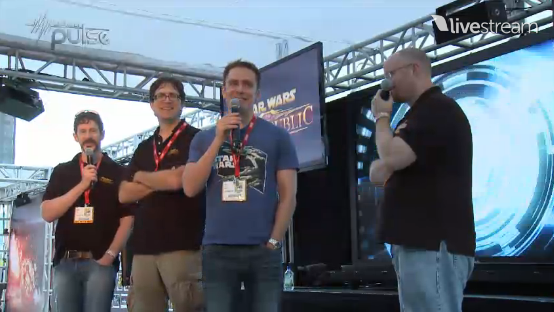 GameSpot has posted the video of yesterday’s Star Wars: The Old Republic: Join Us, It’s Your Destiny panel. Great HD and audio, of course! No more words I can say will help… just watch! The first of of 4 developer Q&A sessions held at BioWare Base has just concluded, and we’re treated with a few more “golden nuggets” of information. Some of it is new, and some of it is stuff we thought we knew but has been changed! Collector’s Edition store is actually an exclusive location that only CE owners have access to! Companion AI – off-limits for talking about! James Ohlen is in trouble. As for the reveal, David Bass introduced a very lifelike statue of Darth Malgus. It looks like he’ll be their convention companion for years to come! Comic-Con has long been a venue for fans connecting with the actors and creators of their favorite things… so it makes perfect sense that BioWare might use this venue to do some of the same! During the panel, for the first time, BioWare introduced some of the actors who will be voicing characters in Star Wars: The Old Republic! New vehicles – including a land speeder! Free pre-order codes to the crowd! There will no doubt be some new media and assets such as trailers and screens released, and we’ll post them here as soon as we can! San Diego Comic-Con 2011: Full Frontal Coverage! Convention season is in full swing, and the world’s largest pop culture convention is now upon us. For fans of Star Wars: The Old Republic, San Diego Comic-Con promises to be a show to remember! 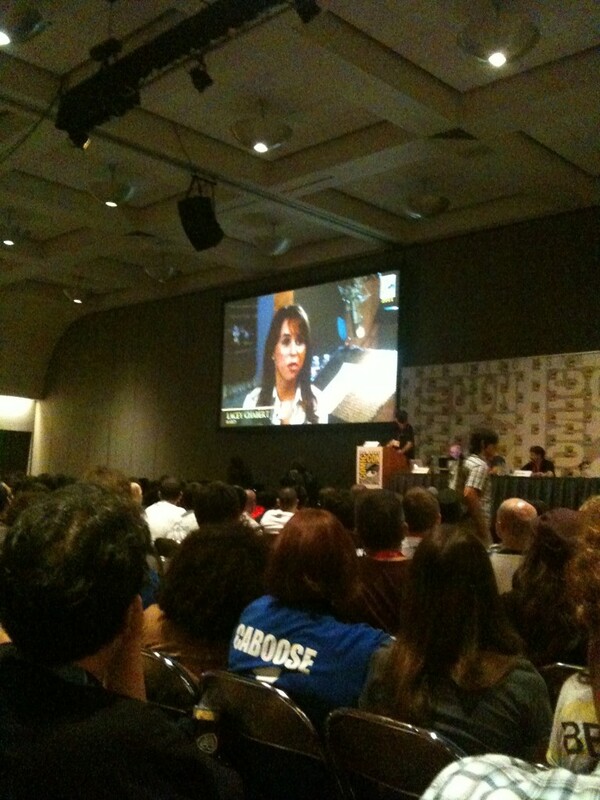 But we also want to provide the most comprehensive coverage of TOR @ SDCC. To that end, we’ll keep this post updated with the very best coverage we find from around the web, and if you see something we missed please let us know and we’ll add it! So what’s going on that we need to pay attention to? Glad you asked! This is the only post you’ll need to keep up with it all… Read on!